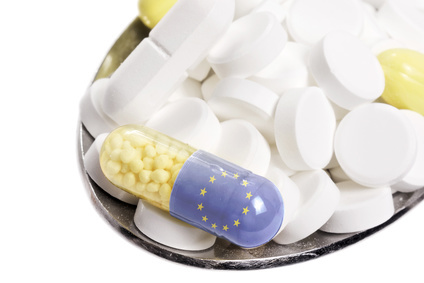 The representatives of EU member states have agreed on the so-called “SPC waiver” draft EU regulation that would allow EU-based companies to start manufacturing biosimilar and generic versions of a patented drug before the expiry of SPC protection. The Committee of Permanent Representatives in the European Union (COREPER) agreed on 16 January 2019 on a draft EU regulation proposed by the European Commission in May 2018 that introduces a manufacturing waiver to the protection conferred to a patented pharmaceutical product by a supplementary protection certificate (SPC). Introduced as an EU harmonised intellectual property right in 1992, the SPC provides an extension of patent protection for pharmaceutical products, for a maximum of five years, to compensate for the loss of profit due to the time required to obtain a marketing authorisation, during which the patented product cannot be marketed. The proposed regulation is intended to allow EU-based generic and biosimilar manufacturers to produce generic or biosimilar versions of an SPC-protected pharmaceutical product during the term of the SPC, upon condition that it is done exclusively for the purpose of exporting to a non-EU market where the original pharmaceutical product’s patent protection has expired or never existed. the manufacturer has affixed to the packaging of the product the specific logo provided for by the regulation indicating clearly that it is only for export. There have been mixed reactions to the draft regulation, which the European Commission’s official press release described as a “targeted adjustment to intellectual property rules to help Europe’s pharmaceutical companies tap into fast-growing global markets and foster jobs, growth and investments in the EU”. The European Federation of Pharmaceutical Industries and Associations (EFPIA) argues that the regulation would weaken SPC protection thus putting Europe at a serious disadvantage in the global race to attract life science investments. Generics manufacturers on the other hand are obviously in favour of an SPC waiver, but point out that the draft regulation does not actually allow the production in the EU of a stock of generics and biosimilars in preparation for sales upon expiry of the SPC on the original product, therefore EU-based manufacturers would still be at a disadvantage with respect to non-EU competitors. With the agreement of the COREPER secured, the EU presidency will now begin negotiating the draft regulation with the European Parliament, with the –perhaps not very realistic- aim of adopting it at first reading. Should the draft be approved as it is and become an EU law, for three years after its entry force the regulation will affect only SPCs that are applied for on or after the date of entry into force of the regulation. As from the fourth year, the regulation will also affect SPCs applied for before the entry into force of the regulation, but which have become effective after the entry into force of the regulation.